Front row start turns to disaster for Pramac Racing rider. 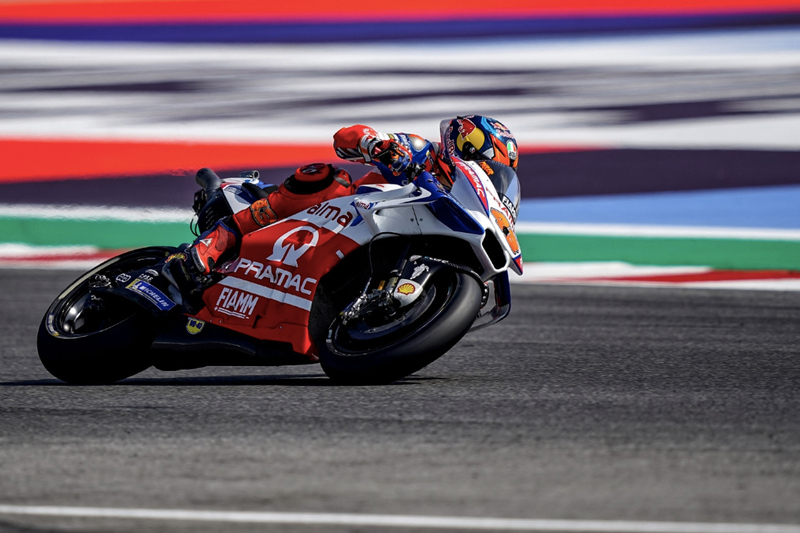 What looked like a promising grand prix at San Marino turned to disaster for Australian MotoGP contender Jack Miller, who was forced to rebound from a crash in the early stages after starting from the front row. 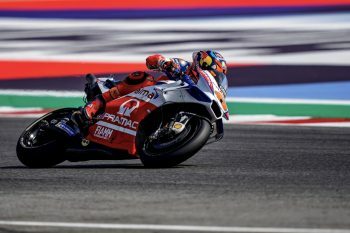 Miller displayed incredible pace all weekend long and was narrowly pipped for pole position by Jorge Lorenzo (Ducati Team), which later granted the youthful talent a strong start in the 27-lap outing. 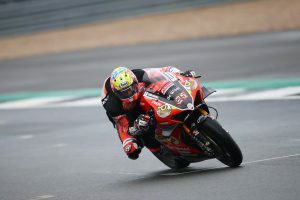 The Pramac Racing ace initially held down second before relinquishing the position and settling into P4, although just three laps in he’d make a critical mistake on turn 14 that saw him crash out of the lead group. In a spirited effort, he remounted to finish out the race in 18th position. Miller is ranked 13th in the series standings as the MotoGP World Championship is slated to stop at Aragon in Spain on 23 September for round 14.